Womindjeka! Welcome to YIRRAMBOI Festival, Melbourne’s premier biennial First Peoples festival, celebrating more than two thousand generations of continuous cultural practice and knowledge. We are proud of our incredible history and passionate about bringing our culture to life for everyone. 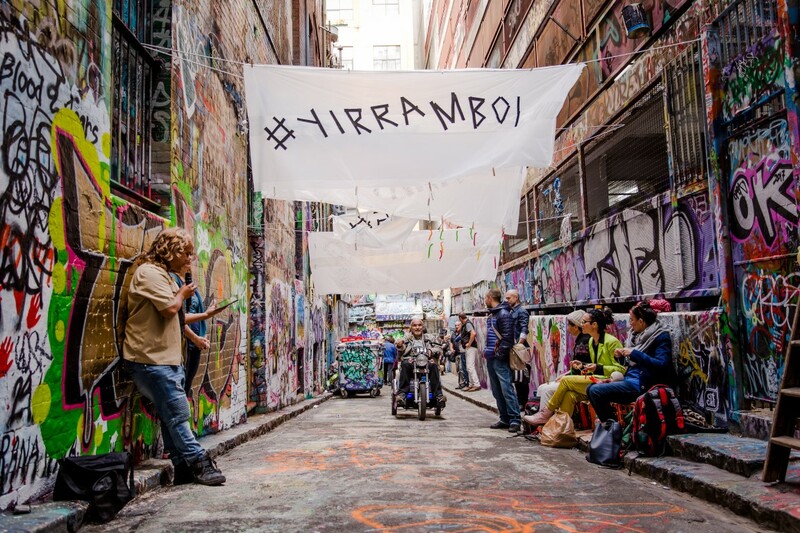 YIRRAMBOI means ‘tomorrow’ in the shared local languages of the Boonwurrung and Woiwurrung peoples, and the program is all about what’s next. While the cultures belong to First Peoples, it is our shared history, and our chance to create the vision for the future. Hear the music of our local superstars, be absorbed by thought-provoking new theatre and unexpected dance performance, check out exhibitions, markets and fashion parades – there are in excess of 100 events showing off more than 200 absolutely magnificent First Nations creatives. YIRRAMBOI is an incredible chance for us all to learn and celebrate together.